More legroom. More headroom. More elbowroom. More comfort for everyone. There is no better technology in the Central Valley than that offered at Advanced Medical Imaging and California Imaging Institute. Between Advanced Medical Imaging’s two General Electric 1.5T MR scanners, and California Imaging Institute’s General Electric 3.0T MR scanner no other outpatient imaging center in the Central Valley can offer the same technological expertise. When it comes to sub-specialty training, CMI Radiology Group also offers the largest number of fellowship-trained musculoskeletal imaging specialists and neuro-radiologists than any other radiology group in Central California. 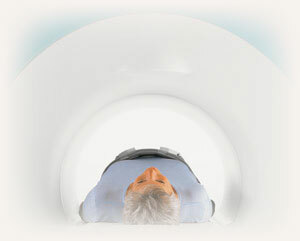 Where an MRI of the head becomes necessary, comfort remains the priority. You will have an open view and generous head-room with at least one foot of space above your nose. There’s also more elbow-room—the spacious diameter opening (over two feet) is specially designed for a more comfortable shoulder, chest, or upper abdomen scan. This makes a crucial difference that you will notice and appreciate. For more information visit www.caimaginginstitute.com.